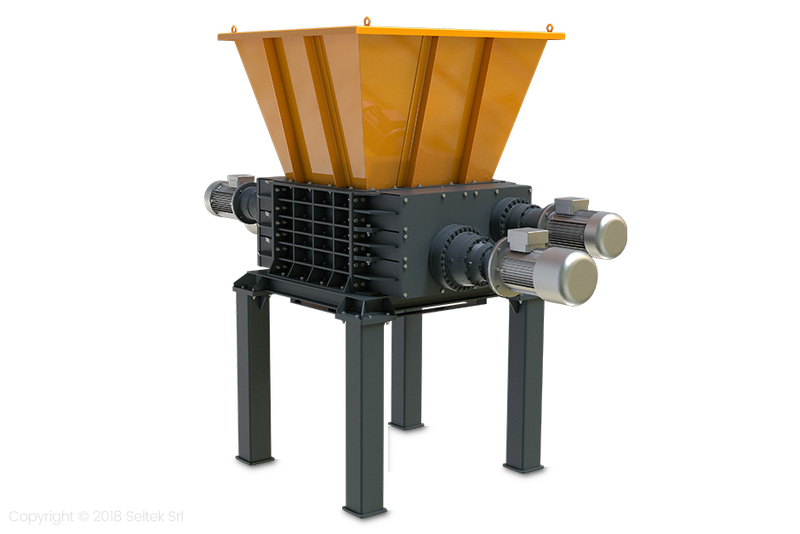 The Stokkermill range of electric or hydraulic four-shaft industrial shredders has been designed for the crushing of many types of materials and for the dimensional control at the exit thanks to the presence of interchangeable classifying grids. Extremely versatile, made for intensive use, the industrial shredders of the F series are the result of a cutting-edge project that aims to create efficient and versatile machines. The exclusive system of interchangeable shafts and the use of grids with anti-wear treatments has led to a drastic reduction of management costs and maintenance interventions.